The work I create holds this history while it invents where to go next. Personal experience adds layers that can be seen. Early works celebrated Highwaymen type sunsets while life in New Mexico saturated palettes. Years spent on a farm in Quincy cultivated dragon’s blood red and travels to Belize brought out the bright yellows. 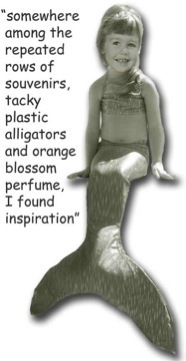 A life full of stories weaves through my work. For the past 25 years, I have worked from my studio home on the Gulf coast of Florida, a place of boundless inspiration. Here, I delight in tiny marine life and stand in awe of infinite sky. Art is intuitive and exhilarating; it is good for my soul. I hope by sharing it, the viewer will get a spark from it, too, and enjoy the visit to this website. over time to include digital micro-assemblages, microscopy, and video production. Bridging the gap between art and science, she is collaborating with microscopists, ecologists, marine biologists and astronomers. With all these new pursuits, one constant remains: her kinetic works are inspiring and magnetic. When this artist is fascinated by the micro life found in a drop of water, her art welcomes us inside her imagination. When mesmerized by the night sky, she carries us to a world we only thought we knew. 1971 – 1976: Taught art while continuing fine art graduate course studies at Florida State University. 1979 – 1988: Employed as a layout and design artist; figure study course work continued. 1989: Founded “Art in Gadsden” precursor to the current Gadsden Arts Center, Quincy, Florida, renown for excellence in programming, management and impact in the community. Created the first cut paper assemblages. 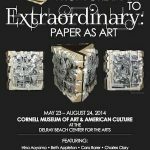 1991 – present: Prolific and unique paper works are collected internationally enabling a lifelong commitment to community and education through the arts. This rich career is continually supported by local and regional art communities as well as national art centers and museums. Drawing: “Mask”, 1985, B. Appleton. and winning “Best in Show” and “Awards of Excellence” in a variety of professional venues. These juried exhibitions included the “Coconut Grove Art Festival”, the “Sausalito Art Festival”, Disney’s “Festival of the Masters”, Ann Arbor, Michigan’s “State Street Art Fair”, Pensacola’s “Great Gulf Coast Art Festival”, St. Petersburg’s “Mainsail”, Ft. Lauderdale’s “Las Olas Museum of Art Festival”, New Smyrna’s “Images”, Jacksonville’s “Artworks” Annual Exhibition, Atlanta’s “Piedmont Park Festival”, Winter Park’s “Art Festival” and Tallahassee’s “Chain of Parks” among many others. 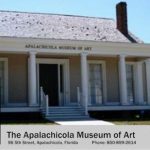 The Florida Museum for Women Artists in Deland, the Gadsden Arts Center in Quincy, Florida, LeMoyne Art Foundation in Tallahassee, Florida State University, Florida A & M University, the North Florida Visual Art Center, the Tallahassee/Leon Co. 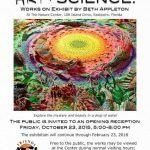 Cultural Resources Commission, the City of Tallahassee, Florida, the Wiregrass Museum of Art in Alabama, the Tampa Museum of Art, the University of Wisconsin, and nationwide American Craft Council exhibitions and more. Individual and celebrity collections are international.